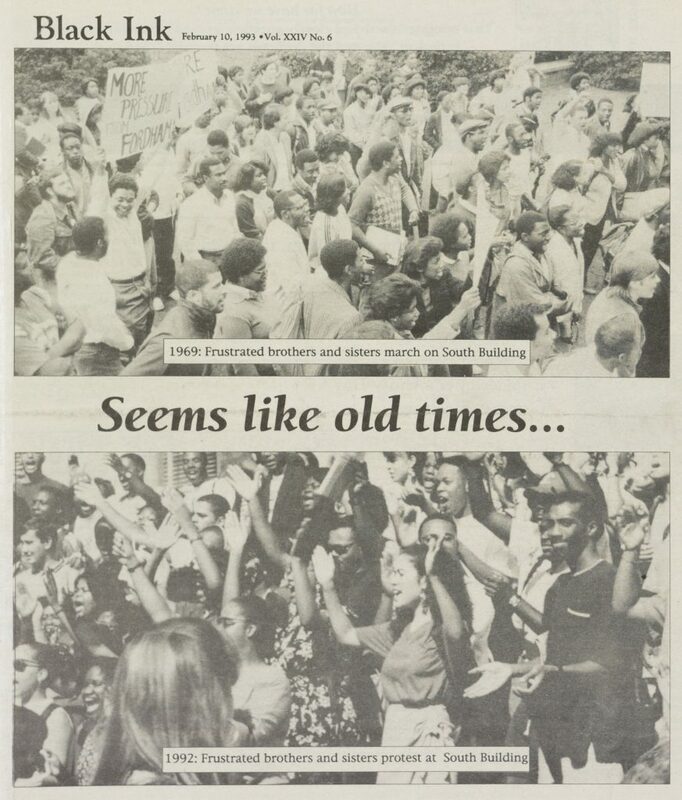 The quote in this post’s title comes from a student who participated in a 1989 protest at UNC-Chapel Hill, pictured below. 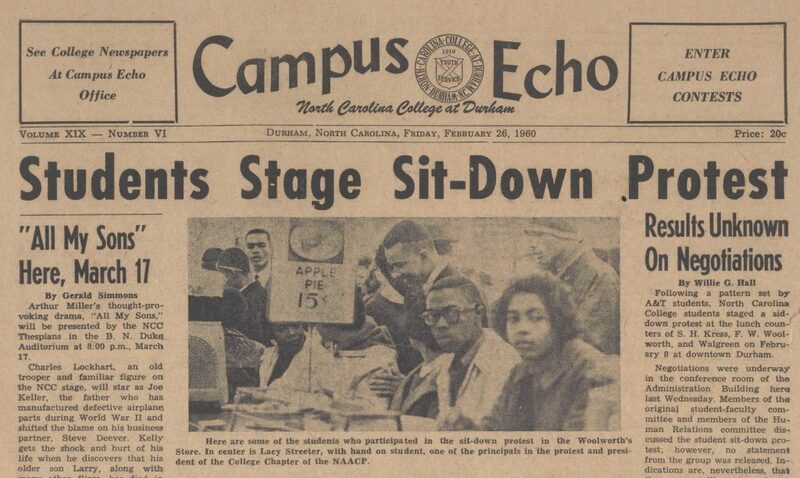 One of the most historic student protests in the United States happened on this day in 1960 right here in North Carolina. 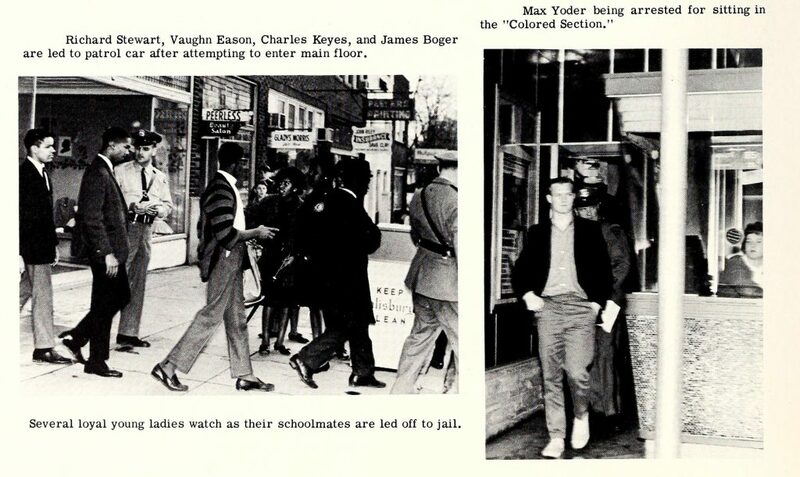 NC A&T students protested segregation by sitting down at a segregated Woolworth’s lunch counter in Greensboro. 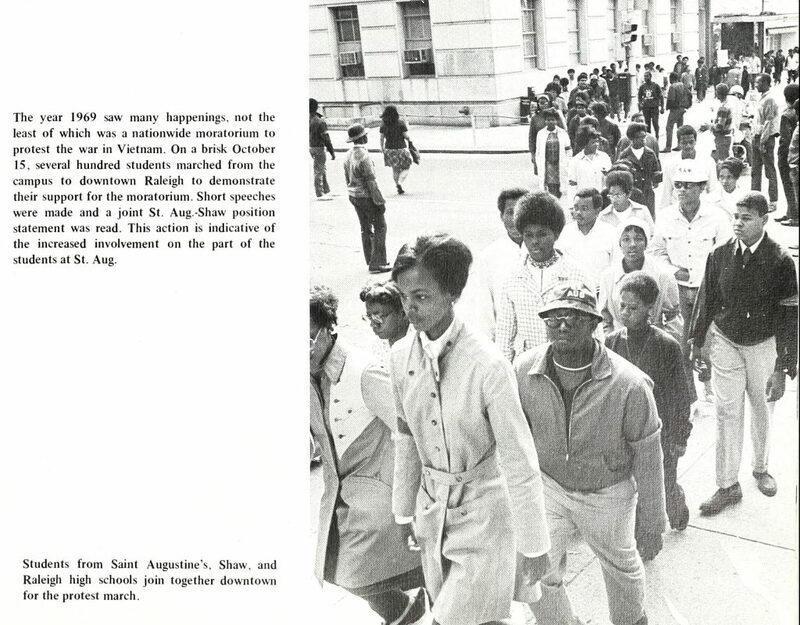 The first images in this post were taken at that event and come from the 1960 Ayantee yearbook. 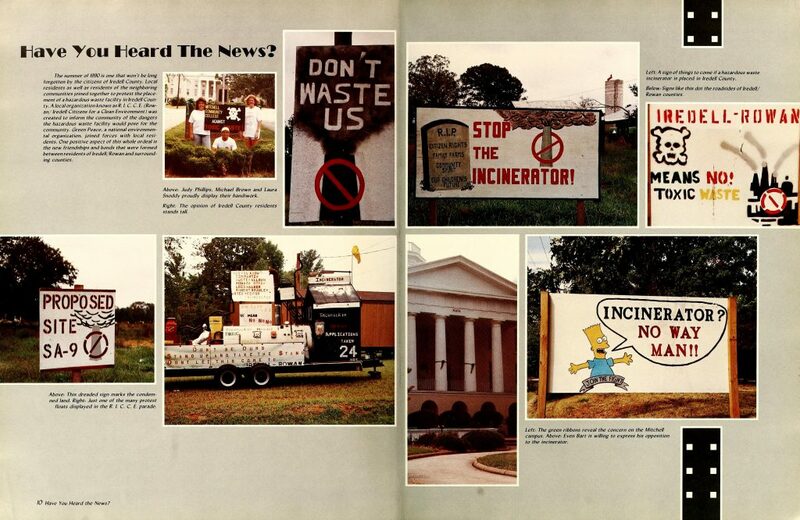 Other images come from schools in all parts of the state, and date from 1960 through 2012. 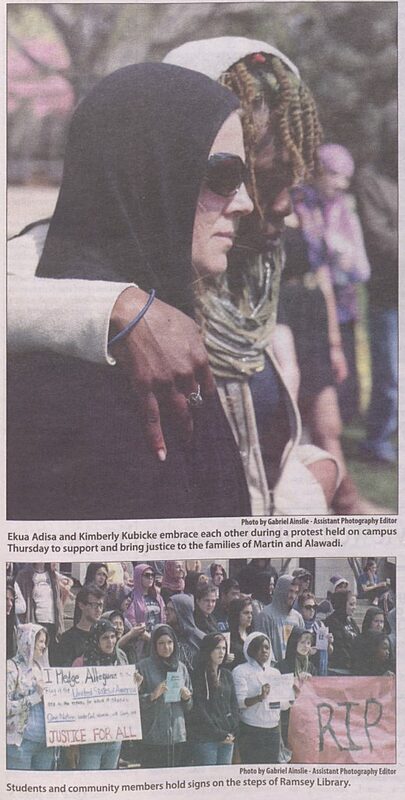 North Carolina college students have passionately protested a variety of issues and events over the years. 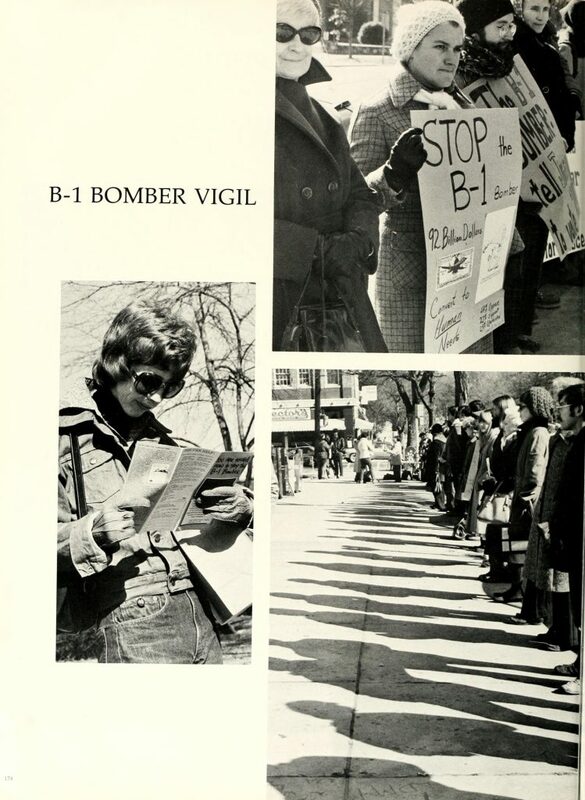 Looking back through yearbooks and student newspapers, you’ll find editorials with strong opinions and photographs of students standing up and speaking out in this most public of ways. 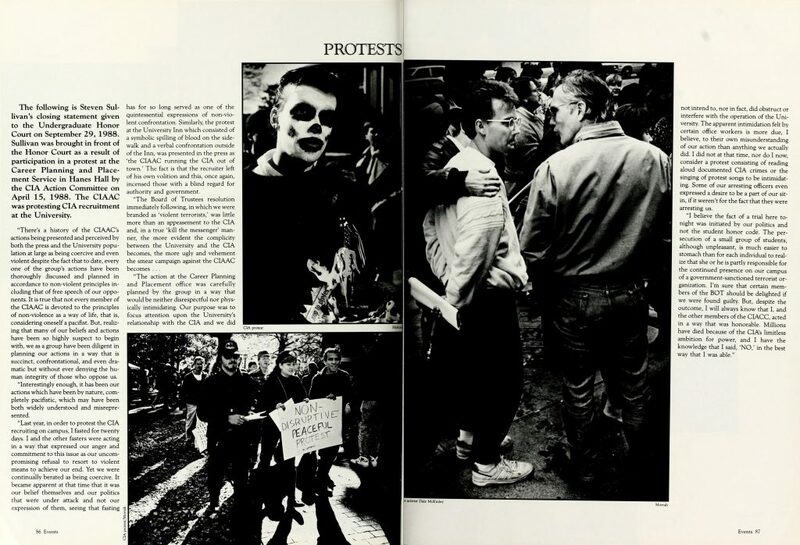 Today we’re sharing the tradition of protest by students over the years, as reported in their own media. 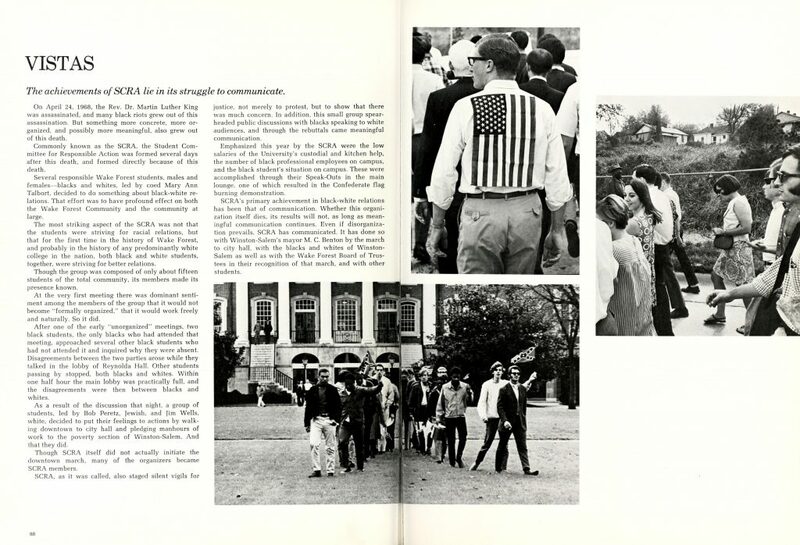 Wake Forest University, 1969, Assassination of Dr. Martin Luther King, Jr.